Lav Knot is an Assistant Research Professor in Biological Systems Engineering at the Irrigated Agriculture Research Education Center (IAREC) at WSU Prosser. He has a BS, MS, and PhD in Agricultural Engineering. Lav works primarily in the agricultural automation research area. 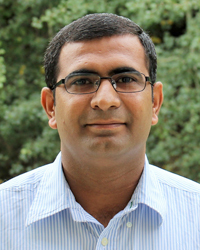 His research and extension program focuses on sensing and automation technologies for site specific and precision management of production agriculture. Special emphasis is towards integration of remote sensing using unmanned and manned aerial systems; ground-based crop sensing; decision support systems; precise applications of various production Inputs; agricultural machinery and processes; and data-based modeling.